IOFM’s members frequently express the need to find talented partners and solution providers to help them augment their internal teams to accomplish ambitious business goals. 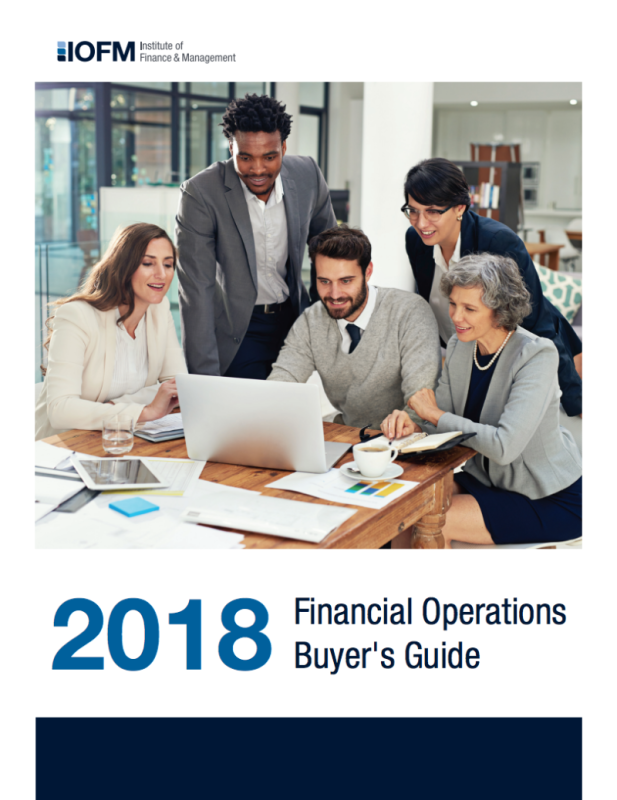 To help with that, IOFM publishes an annual Financial Operations Buyer’s Guide. Within its pages you will find details on a vetted group of businesses with standards that are as high as yours. In order to gain a competitive edge, it is critical to choose the right partners. We hope this guide serves as a valuable tool to advance that goal.